Dr. Donnelly received her BS and MS in Materials Science and Engineering at Stanford University. In 2007 she received her PhD in Mechanical Engineering at Cornell University, where she examined the role of mineral and collagen on the mechanical properties of bone tissue at multiple length scales. As a postdoctoral fellow she studied skeletal tissue biology and biophysical imaging in Biomedical Sciences at Cornell and material properties of osteoporotic bone in the Mineralized Tissues Laboratory at the Hospital for Special Surgery. She joined the Cornell faculty in January 2012. Dr. Donnelly was awarded an NIH Ruth L Kirchstein National Research Service Award for her postdoctoral fellowship to study the effects of bone tissue mineral and matrix properties on fracture incidence. 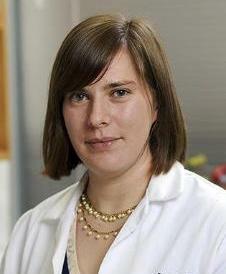 In 2010 she received the Young Investigator Award from the American Society for Bone and Mineral Research and the Young Investigator Award from the International Conference on the Chemistry and Biology of Mineralized Tissues for her work on bisphosphonate-induced changes in material properties of osteoporotic bone. She received the New Investigator Recognition Award from the Orthopedic Research Society in 2009 and the Alice L. Jee Memorial Young Investigator Award from the Sun Valley Workshop on Skeletal Tissue Biology in 2007 for her work on imaging primary cilia in tendon.